Bake the butternut squash in the oven for 20-25 minutes until it’s soft and easy to peel. Add the stock, the ginger and the strips of orange zest to the carrots and onions. Bring to a simmer, cover, and cook until the carrots soften, about 20 minutes. Add the butternut squash and simmer for about 5 minutes. Remove the strips of orange zest and discard. Working in small batches, pour the soup into a blender and purée until completely smooth. Only fill the blender bowl a third full with the hot liquid and keep one hand pressing down on the cap of the blender to keep it from popping off. Add more salt to taste and cream. Wickedly beautiful soup. One of my favorites, and with orange zest. Mmm-mmm-mmm! Thanks, B. J.
Yum, I love all the ingredients in this soup. and just happen to have more fennel fronds on hand tonight. 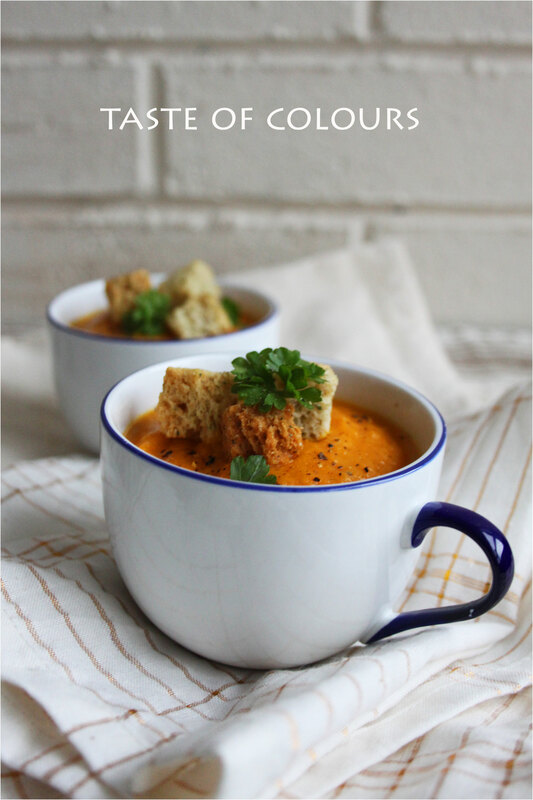 I made a carrot and ginger soup last year, it was divine. This has reminded me how much I want soup right now! Love the photos, the soup looks stunning in those blue and white mugs! I have had this before and it’s amazing good. But where did the onions come from? There are no onions in the ingredience. But you say fry onions and carrots in the butter. Mmm! I was looking for something like this to fight off the rain! Thanks! 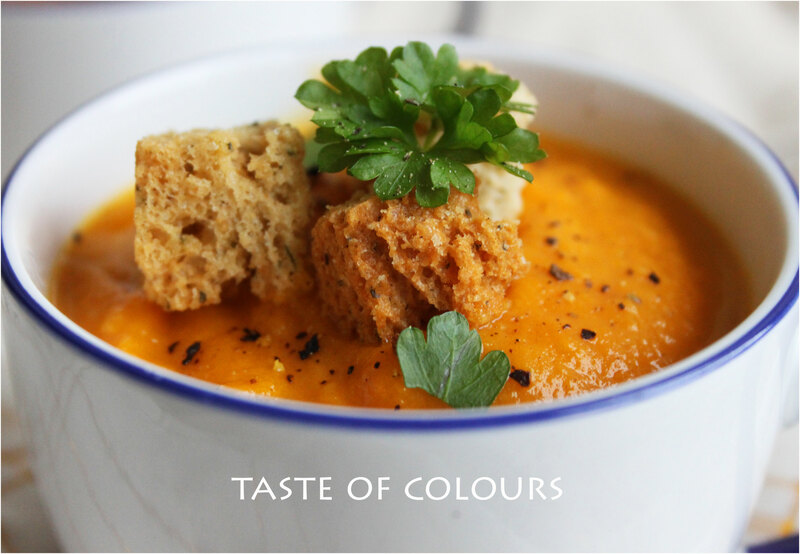 this soup sounds delicious – my favourite colour too, and warming for a wild spring day. Looking forward to perusing all your recipes! Yum! Mmmm….we’re just hunkering down for a long cold winter here in New Zealand and this looks perfect right about now! 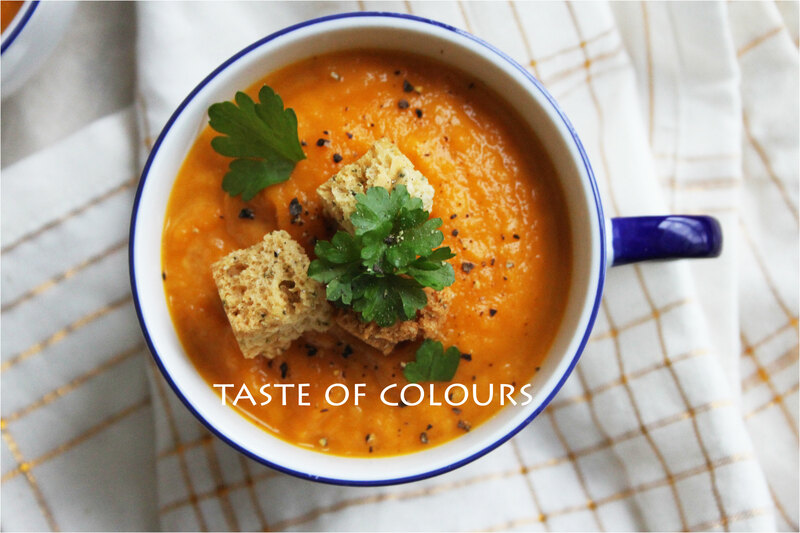 Beautiful pictures, delicious recipes, fabulous blog! That looks amazing, might try it tonight! I’m gonna make this soon (sans cream though). Can’t wait! This soup sounds fabulous. I think it should be good as a cold soup too. It is hot weather season here.